Incredible Hulk #181 showcases the 1st full appearance of Wolverine and his 2nd overall appearance in the history of comics! Moreover, there are only a handful of comic books that have literally stood the test of time and have reigned over any other book of its era; Incredible Hulk #181 is one of those exceptions! If you were to think of a single comic book to represent the most sought-after, most valuable and most significant issue of an entire age, it would be Action Comics #1 of the Golden Age (1938-1955); Amazing Fantasy #15 of the Silver Age (1956-1969); and Incredible Hulk #181 of the Bronze Age (1970-1984). In other words, the 1st appearances of Superman, Spider-Man and Wolverine have superseded the importance of any other character of their respective time periods! With that said, the world was introduced to the claw-slashing, berserker-raged mutant Wolverine, who made a long-lasting first impression during his debut in November of 1974, as he battled the most powerful character in the Marvel Universe—the Incredible Hulk! However, Wolverine wasn’t anything like the major superheroes before him; instead, he was ill-mannered, hot-tempered and walked the earth with a tortured soul, as he would later struggle with his origins and the purpose of his creation. He was a government experiment—the perfect weapon—Weapon X! As a direct result, the “anti-hero” was born! Wolverine was originally created by writer Len Wein and designed by Marvel Art Director, John Romita, Sr. However, in October of 1974; it was the late Herb Trimpe (May 26, 1939 – April 13, 2015) who first drew the character for publication in a last panel cameo featured in the Incredible Hulk #180. The following month, Wolverine was depicted on the front cover lunging in midair and slashing through heavy chains to attack the Goliath Green Machine! In my personal opinion, this is by far the most badass 1st appearance entrance in the history of comics! Wolverine battled the most powerful being in the Marvel Universe head on, so the story title, “AND NOW…the WOLVERINE!” served as an impact statement as if to say, “move over Hulk…another badass is in town to take on all challengers!” With that being said, Herb Trimpe’s classic cover of Incredible Hulk #181 forever remains etched in the hearts and minds of all Wolverine fans and collectors, and is easily recognized and revered worldwide by any comic book collector or connoisseur! Roughly 8 months later in the Summer of 1975, Wolverine made his 2nd “full” appearance in Giant-Size X-Men #1 and became a major addition to the new X-Men team. While Wolverine was kicking a** and talking trash in the process, he became increasingly popular with avid X-Men readers and became the most popular character on the X-Men roster! From this success, Marvel would later feature Wolverine in his 1st solo comic; in a classic four-part miniseries, which was published from September – December of 1982. Fast forward a little over six years ahead, and Marvel finally catapulted Wolverine into his own monthly series in November of 1988! Furthermore, in the 43 years of his existence, Wolverine has become the most popular character in the entire Marvel Universe, next to the franchise’s marquee character—the Amazing Spider-Man! In the Marvel cinematic world, Wolverine has been characterized on the silver screen by famed actor Hugh Jackman for an astonishing 17 consecutive years in a total of 9 films! With the start of the new millennium in the year 2000 up until the year 2017, Hugh Jackman (as Wolverine) has been featured in the following Marvel films: X-Men (2000); X2: X-Men United (2003); X-Men: The Last Stand (2006); X-Men Origins: Wolverine (2009); X-Men: First Class (2011); The Wolverine (2013); X-Men: Days of Future Past (2014); X-Men: Apocalypse (2016); and Logan (2017). To say that Hugh Jackman has had success towards making Wolverine and the X-Men a viable movie franchise would be a gross understatement! Rather, he has ventured into “legendary status,” with almost 2 decades of filmmaking and helping to contribute a Worldwide Box Office Total of OVER 5 BILLION DOLLARS! As a direct result, copies of Incredible Hulk #181 will only continue to appreciate and rise in value annually, making it not only the most coveted book of the Bronze Age to collect and showcase, but one of the most secure long-term investments! According to the CGC Census Report as of December 12, 2017, out of an impressive total of 9,989 copies graded, only one (1) freak of nature was graded (WAY BACK in April of 2001) as a Universal MINT 9.9, which sold for $150,000 on Comic Link back in February of 2011! Furthermore, only one hundred four (104) copies (including my copy) were graded as a Universal 9.8 and only ten (10) copies were graded as a Signature Series 9.8. With these statistics in mind, the rarity factor for a CGC Universal IH #181 in 9.8 is only 1.04% of the total population! That’s extremely rare! Considering the vast number of copies that have already been professionally graded and the fact that many 9.8 copies are stashed away in private collections, it is going to become increasingly difficult to locate any 9.8 examples; raw or professionally graded! On that note, this particular CGC 9.8 copy sports PERFECT COVER WRAP, PERFECT CENTERING, and PERFECT WHITE PAGE QUALITY along with being PERFECTLY cut! (okay, if you want to be a snob...99.9% perfect! ) The color saturation is deep and bright and the corners are razor sharp! Of MAJOR significance is the absolutely PERFECT CENTERING & REGISTRATION ALONG THE SPINE! 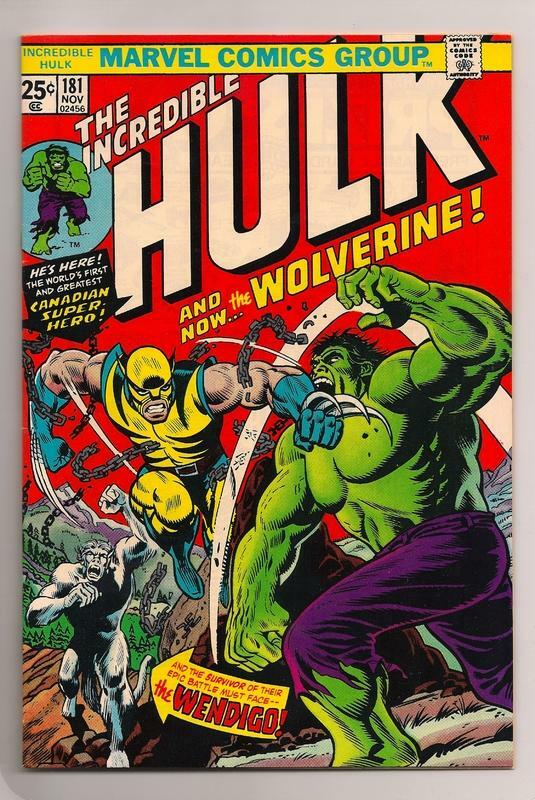 It is extremely RARE even in the 9.8 grade to find a copy in this immaculate condition, which makes the Professor Pecora Copy of Incredible Hulk #181 one of the finest and most valuable copies in the world! I purchased this PRISTINE GEM in March of 2017 from the same auction house where the single CGC 9.9 MINT copy last exchanged hands—Comic Link! I had to bid very aggressively in the final seconds of the auction to secure it, along with auctioning off the majority of my CGC 9.8 Bronze Age Marvel Key Collection in the Pedigree Comic’s April 2017 Grand Auction to pay for it, but at the end of the day...it was all WORTH IT! In closing, I would like to thank Mr. Doug Schmell of Pedigree Comics for helping me to acquire this MEGA Bronze Age Key! You've done it again! Congratulations!! I really like your copy, cover alignment is often the bane of my collector's existence and your 9.8 makes my heart happy! I'm like a sniper patiently posted in position for hours (in the CGC collecting world up to years) and as soon as I see the "perfect" opportunity (copy), I unload for the kill!! Once I saw this copy, I "knew" that was "the one!" Without any hesitation, I made the immediate decision to sell most of my CGC 9.8 Bronze Collection to acquire it!! Truly, as you're very much aware, not all 9.8's are created equal; to land a "perfect" looking 9.8 W on a book such as IH #181 is an "incredible" feeling!! It's good to hear from you Brandon! THANK YOU for sharing my joy with me!! Tell CGC I said it's a 9.9! It really does look perfect. Colors are so bright I've got to wear shades. Thanks Rockblazer! I felt the same way along with many other professionals including Matt Nelson of CCS who actually examined the book up close before I had it reholdered. However, without even asking Matt about a possible upgrade, he said that "he doesn't think it would have a shot at the 9.9 because of a few tiny spine tics...although it's a very beautiful looking book and has to look the same way as it did when it was printed!" I was like WOW! Just to think that my copy would even be "considered" for a possible CGC 9.9 MINT upgrade was crazy!! It's all good though! It's officially "The Professor Pecora Copy" and I would be 100% confident to put it up against any other 9.8 in the world! I'd have to say it's the best example I've seen in 9.8. 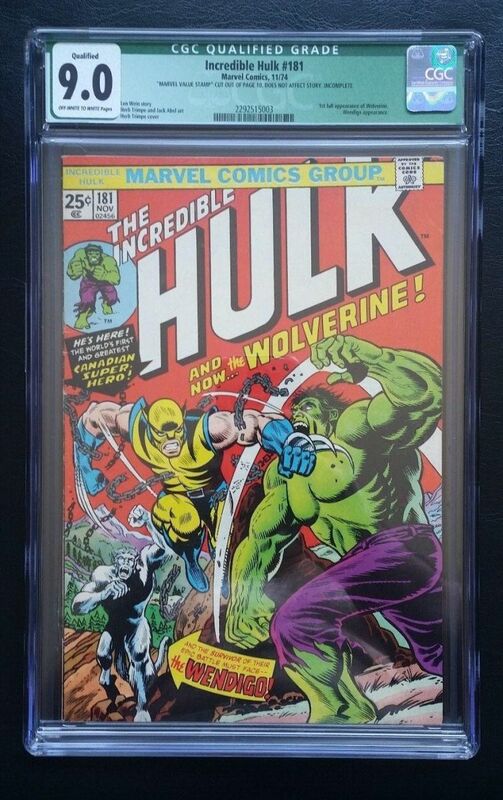 Tell me what you think when you compare my copy with Incredible Hulk #181 CGC 9.9 MINT that sold on Comic Link for $150,000 way back in February of 2011. Thoughts? Well, it's impossible to judge at these high grade levels based on scans alone...so I'll throw that out as a disclaimer. To really tell, you'd have to have both books cracked out of the slabs and ready for close examination with magnification, different types of lighting, various angles, etc. That said, it looks like your book has a lower, left corner that is superior to the 9.9. Registry and alignment is almost too close to call. That said, I'd give the ever-so-slight edge in that category to the 9.9. I'm sure they had everyone at CGC scouring that 9.9 before giving it the grade...but still...if it were cracked out and resubmitted, would it grade a 9.9 again? Who knows? Too expensive of a proposition to ever find out. But like I said earlier, this is an amazing looking book! It would be very, very difficult and very, very expensive to find a buy a better copy in my opinion. Another fine piece of the collection Prof...just wish I had better means. That CGC 9.9 was graded a LONG TIME AGO! Granted, it is also PERFECTLY wrapped, centered and cut like my copy (they almost look like twins in that regard), but my copy is much BRIGHTER than the 9.9! Look at the 9.9 copy in upper right hand corner on the top of the "K" in Hulk, it's significantly whiter in this small section compared to the rest of "The Incredible Hulk" title. You can also see the internal pages pretty clearly from the fading white color. My former CGC 9.8 W [Mile High 2 Pedigree] copy looked the same in terms of the color fading, which I really hated...especially when I would see lower graded copies look much brighter with colors truly popping out! 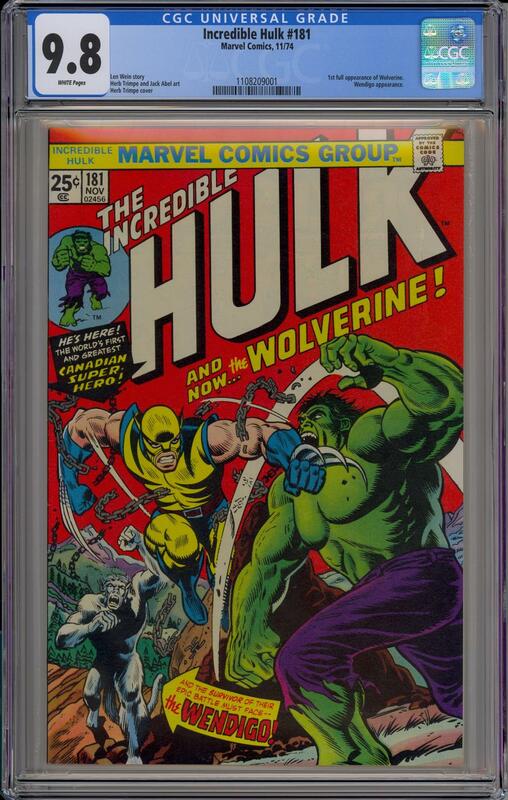 Also, the CGC 9.9 has at least one visible spine tic, which can be seen to the left of the black arrow underneath the small Hulk image. Like you already pointed out, the bottom left corner of the CGC 9.9 has some light visible wear, whereas my copy has a superior corner. 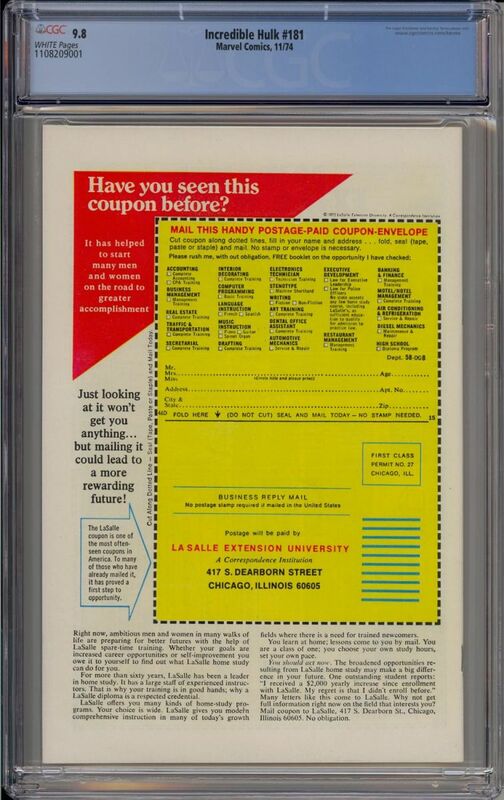 However, because it has the CGC 9.9 MINT label, it would probably sell for over 1 million dollars if it were ever to surface! Moreover, at least I have a STRONG CASE to put a major premium $$$ PRICE TAG $$$ on my copy if I were ever to sell it!! Thanks for your contribution to this thread newshane! Congratulations on a beautifully centered copy. It's not often you see the black registration line flush with the spine on a #181 ! Just out of curiosity, I'm seeing 5 visible spine stresses on your copy - one below "Here's here" and 4 parallel with Wolverine's right arm. Are those actually on the book or is it a scanner effect ? Thanks r100comics! I appreciate it! "Based on a couple of tiny spine stresses, I don't think the book has a shot at 9.9." So I would say you're correct with noticing the tiny spine stress next to the "He's Here" black arrow text box and 2 tiny spine stresses next to his arm. I don't think there are a total of "5" tiny spine stresses; the other two that you may be seeing are most likely from the scanner. Again, as Matt Nelson noted, they are tiny spine stresses, which even the lone 9.9 has a couple of visible tiny spine stresses if you look very closely! CGC graded the 9.9 like right when they opened up their company in 2001; I highly doubt that it would regrade out as a 9.9 if it were to be cracked out and resubmitted. If so, then my ASM #129 CGC 9.8 W should also be graded as a CGC MINT 9.9! Congratulations on acquiring such a beautiful example of Incredible Hulk 181. As always, I'm impressed by your passion for comics. 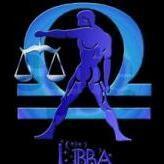 You are an consummate collector with an eye for detail... can't wait to see what you acquire next. Thank you for sharing these wonderful things with us. P.S. : Love the rich details and history of your journal... it's a great read! It's very nice to hear from you and I hope you've been doing well. Thank you for your positive feedback and I'm glad you enjoyed reading my journal entry! Things are good. I'm trying to change things up with my collection... but still not sure what direction I should go in. My gut tells me "less is more". I feel I have another "holy grail" calling in my future. Sounds good SW3D! You'll figure out what direction to take your collecting focus on soon enough! I am a strong believer with the statement you shared, "less is more!" At the end of the day, as much as I LOVE collecting and appreciate the historical significance of KEY books...they are all INVESTMENTS as you can't take them with you to the grave! I have learned to focus on a fine balance of collecting what means most to me and considering the future investment potential each particular book possesses. In addition, when you have hundreds of lesser desired books and say you do have to sell them one day, it is an extremely tedious and EXPENSIVE (S&H) process! I remember putting in countless hours in order to promote and market my 200 + Wolverine (1988) CGC 9.8 books just to break even on most of them...with many of the non SS 9.8 and non significant 9.8 issues only selling between $20-$30! I used the remainder of my recent auction winnings to #1) pay off some bills and #2) to live on! I would normally just reinvest ALL of my auction winnings into other Key CGC books, but this time around I decided to keep things "balanced" and in perspective; I was more than content with acquiring the world's finest looking copy of IH #181 CGC 9.8 W! 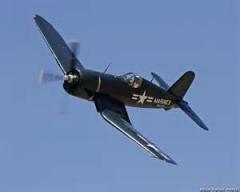 However, life is short, and it felt nice to have the extra cash in my account and to have the means to get other things accomplished! Let's go get those GRAILS bro!! Great journal and congratulations on the acquisition! I've always been very happy with the eye appeal, wrap and color saturation on my raw copy. Picked it up for under $1000 in 2000. Wow!! What a GREAT LOOKING RAW COPY you purchased for "under $1000" back in 2000!! Congrats to you my brother! You made an awesome investment! Are you planning on submitting it to CGC for encapsulation? From what I can see from the scan, your copy looks like it would grade out between the 9.0 - 9.6 range, which is a HUGE Return on Investment if you decided to sell it one day! Again, thanks for sharing Paul_Maul and your copy looks phenomenal! Thanks prof! When I bought it I viewed it as a likely 9.2 due to the three small visible spine tics...however I have seen 9.4s with much more noticeable spine wear in the last five years, so who knows? I will probably only submit it if I plan to sell. 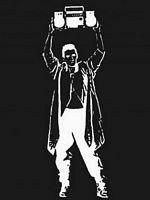 It also depends on the length and depth of each spine stress as a contributing factor to the overall grade. At first glance, my initial thought was a CGC 9.4; however, it would be interesting to find out! Your copy is really something. Earlier this year I bit the bullet and bought a 181, to complete my Incredible Hulk run. My copy is missing the MVS (apparently a common flaw) but that made it possible for me to get a decent copy. I tend to be a low to mid grade collector, but that doesn't mean I don't appreciate the good stuff like your 9.8. Hey man, even though it's a qualified green label, it's still a "CGC 9.0" and your copy has great color saturation; the white Incredible Hulk logo really pops! I bet it feels good just to own a copy of IH #181! What a great copy and journal Professor! You have a real gem there! So what prompted you to sell it? I know the profit margins are getting too tempting to pass up, my 9.6 fell in the battle of capitalism vs collectorism back in October. It's been a while since I've heard back from you. Hope you've been doing well. I decided to sell (sacrifice my most prized and cherished CGC GEMS) to pursue my life-long dream of making it in the music business. I converted my hobby into a profitable business and I am able to pay all of my bills and invest into my music off of CGC Comic sales. I will most likely write another journal about this one day. So do you still own your IH #181 CGC 9.6 W, or did you sell it? Amazing Spider-Man #129 CGC 9.8 W (1st Punisher) SOLD for 16.5K as of 11/25/17! - Private Transaction! This copy had a slight edge on my former copy I sold for 15.5K on eBay (9/3/17)!